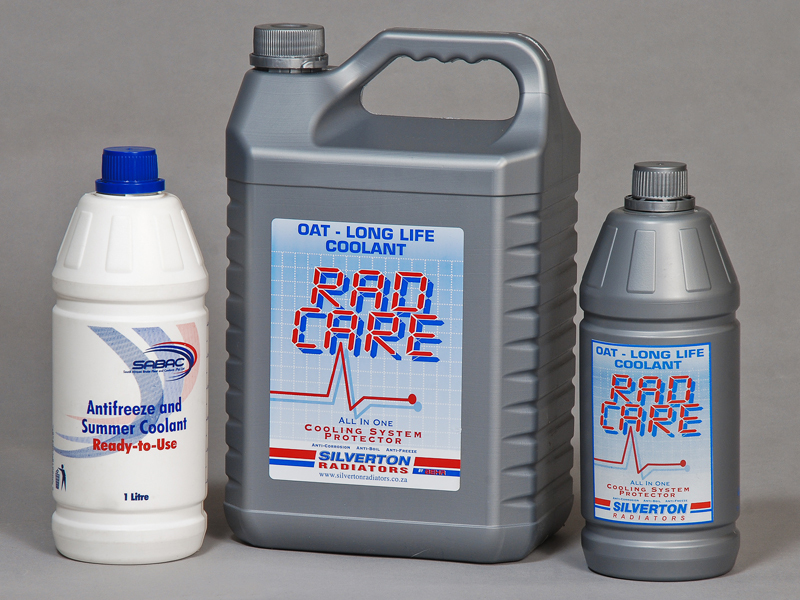 Extended Life Antifreeze Coolant (OAT Technology) | South African Brake Fluid and Coolants (Pty) Ltd.
SABAC Extended Life Antifreeze Coolant – mixed with the appropriate amount of water – is used as a cooling and heat transferring fluid in combustion engines. Excessive heat is transferred via the fluid to the radiator where the mixture is cooled by means of airflow. The product is an ethylene glycol based fluid that provides maintenance-free protection against freezing and boiling but also against corrosion. Extender coolant life, often for the whole life of the engine or vehicle, is obtained through the use of virtually non-depleting corrosion inhibitors. It is recommended to change the coolant every five years or at above mileages or operating times, whichever comes first. The product provides long-life protection against all forms of corrosion by the use of optimized and patented organic inhibitors. Excellent and lasting high temperature corrosion protection is provided for the aluminium heat transfer surfaces contained in modern engines. The inhibitor package offer excellent cavitation protection even without using nitrite or nitrite-based supplement coolant additives (SCA’s). Our antifreeze is available in 1 litre, 5 litre, 20 litre, 210 litre and 1,000 litre containers.